Grab your best friends, moms, sisters or soulmates and escape to Miraval for an unforgettable wellness retreat. Savor healthful cuisine, indulge in the most innovative spa treatments in the world, and experience our unmatched wellness programming. Complimentary Spa Service to enjoy any morning during your stay ($150 value). $175 nightly resort credit, per person to spend on your choice of spa services, activities and private sessions. Unlimited outback hiking, group fitness classes, group photography classes, challenge activities and climbing wall. Unlimited participation in daily yoga, fitness, meditation and wellness lectures. 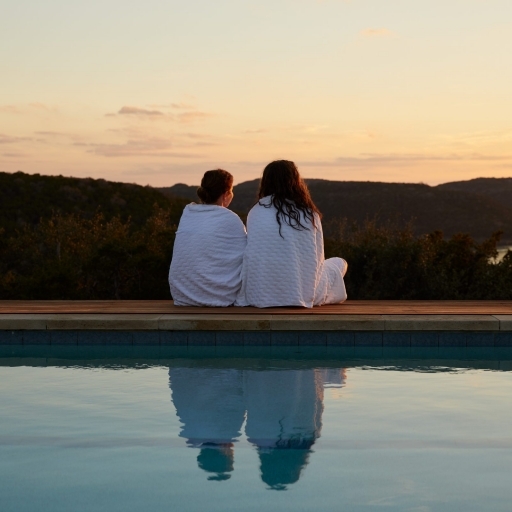 Full access to Miraval's extensive resort amenities including the Body Mindfulness center and Life in Balance Spa, with saunas, hot tubs, and more than 100 treatments. 3 night minimum is required. Complimentary spa service ($150 value) must be booked and consumed before 1pm. A 23% Resort Charge (on Resort Package Rates) will be added daily to your package rate which includes access to over 120 select wellness classes and lectures weekly, along with full access to Resort and Spa Pools, Fitness Center and Wi-Fi..